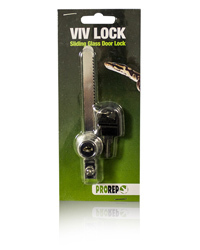 ProRep vivarium locks are designed with safety in mind. Reptiles have the habit of escaping on occasion. These locks, fit neatly between the panes of glass to secure the glass in place. This locks comes with a unique key making the lock very secure.